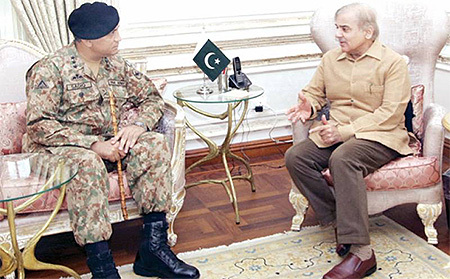 It is not known what explanation was provided to the Interior Minister by the DG Punjab Rangers, however, a detailed press conference was held by the Director General Inter-Services Public Relations (ISPR) Maj Gen Asif Ghafoor on October 5, 2017 in which a simplification of the events was given. PILDAT believes that the incident was serious and had compromised the image of the country. An enquiry should be conducted and people responsible for the mistake be disciplined. PILDAT believes that it is inappropriate for any State institution to make public comments critical of any aspect of the policy or conduct of another State institution. There are appropriate channels and forums available for conveying the views of the institutions to the relevant quarters and such channels and forums should be used instead. It is the responsibility of the Government to keep such channels of communication open and such forums available for exchange of views. 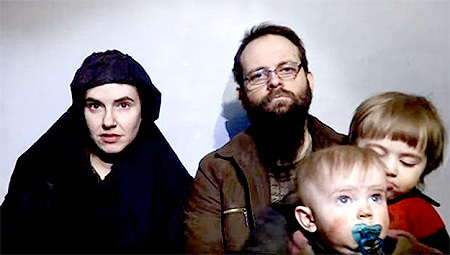 The rescue of 5 foreign nationals by the Pakistan Army reportedly held hostage by the Afghan militants, which was hailed as a win by both DG ISPR and subsequently by US President Donald Trump, was later questioned when CIA Chief reportedly confirmed on October 19 that the couple kidnapped by militants in Afghanistan had actually been kept in Pakistan for the past five years. The recovery of the family came on the same day as meeting of the COAS with Acting US Assistant Secretary of State, Alice G. Wells. From the Pakistan side, the delegation included Foreign Secretary Ms. Tehmina Janjua, DG ISI Lieutenant-General Naveed Mukhtar and Pakistan Ambassador at Kabul Zahid Nasrullah Khan and staff of the COAS. 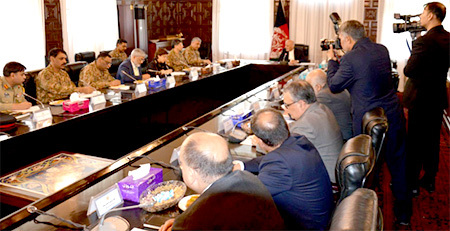 Afghan delegation consisted of Afghan 2nd Vice President, First Deputy Chief Executive officer, 2nd Deputy Chief Executive officer,National Security Advisor, Chief of National Directorate of Security (NDS), Afghan Defence minister, Afghan Interior Minister, Afghan Ambassador to Pakistan and the Afghan COAS. 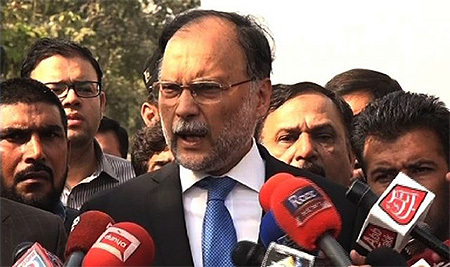 No statement was issued by Pakistan’s Foreign Office upon return from Afghanistan. The COAS also made a three-day visit to the Middle East (Kingdom of Saudi Arabia and UAE) returning to Pakistan on October 17, 2017. The visit was not reported by ISPR. According to the news reports, the COAS General Bajwa first met Sheikh Mohammad bin Rashid Al Maktoum, the ruler of Dubai and Prime Minister of the UAE as well as other key UAE leaders on October 14, 2017. Later, he flew to Saudi Arabia to attend an International Conference organized by the Saudi Defence ministry, themed: “Alliance Against Terrorism: Strategies and Capabilities“. General Bajwa also met the Saudi Crown Prince Mohammed bin Salman on the sidelines of the conference. The Arab News only reported the meeting and no official word on the trip was published. It must be noted that the Election Commission of Pakistan has rejected the application of Milli Muslim League to be enlisted as a political party. Milli Muslim League (MML) is apparently the political front of Jamaat-ud-Dawa, which is a proscribed organization under the Anti Terrorism Act of Pakistan. Pakistan Motor Rally 2017 was organized by the Pakistan Army from October 21 to October 31, 2017 reportedly to commemorate country’s 70th year of independence. The first interaction took place during a meeting of the National Implementation Committee on FATA Reforms on October 12, 2017. 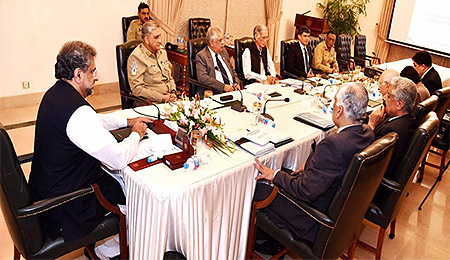 The meeting was attended by Chief of Army Staff General Qamar Javed Bajwa, Minister for SAFRON Lt. Gen (R) Abdul Qadir Baloch, Minister for Law Mr. Zahid Hamid, Deputy Chairman Planning Commission, Mr. Sartaj Aziz, Governor Khyber Pakhtunkhwa Mr. Iqbal Zafar Jhagra and Chief Minister KP Mr. Pervez Khattak. The Minister of Defence was not part of the meeting. 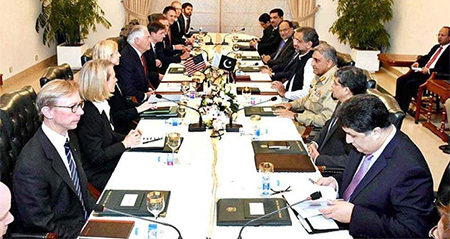 The second interaction took place when the Pakistan delegation, led by Prime Minister Mr. Shahid Khaqan Abbasi, met U.S. Secretary of State Rex Tillerson, in Islamabad, on October 24, 2017. The Pakistani delegation included Foreign Minister Mr. Khawaja Asif, Interior Minister Mr. Ahsan Iqbal, Defence Minister Mr. Khurram Dastgir Khan, Foreign Secretary Ms. Tehmina Janjua, Chief of Army Staff Gen Qamar Javed Bajwa and Inter-Services Intelligence Director General Lt Gen Naveed Mukhtar.